San Diego Permanent Residency Lawyer by Habib Hasbini, Attorney at Law. A permanent visa, commonly referred to as a “green card,” is an immigration document that allows a person to live in the United States. What Agency Grants Green Cards? Marriage Visas – Marriage has special procedural rules. The BCIS can grant “conditional permanent residence” for those who are married to U.S. citizens while the full green card application process is completed. 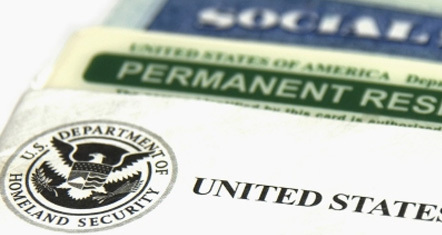 Work Visas – Those moving to the United States because of a certain type of skill for employment may qualify for a green card if they fall into one of the preference categories established by the United States government. These preference categories are very limited and specific about the criteria required to receive a green card. Further, quotas are established for each of these preference categories. Beware – See your immigration attorney before attempting to get a green card through these methods. You may bring your illegal residence in the United States to the attention of the BCIS and be forced into deportation proceedings instead of getting a green card. Should I See an Immigration Attorney when I Apply for a Green Card? The BCIS has many forms and procedural requirements for those who wish to apply for a green card. An immigration attorney is familiar with all these procedures and will help your application process move smoothly. An immigration attorney can also help you determine whether you would be eligible for a green card under a preference category or as an immediate family member.